Congratulations on your pregnancy! Once you have got over the fact that your pregnancy test truly came up positive, and you are expecting a baby, prenatal care may be on your mind. Choosing a prenatal care provider is an important step on the road to motherhood, and also lays the foundation for choosing with what type of provider you will be delivering your baby. Depending on your health, your geographical location, and your financial (insurance) options, you will have three basic choices. Two obvious choices for prenatal care providers are obstetricians/gynecologists and midwives. The third option, which is becoming rarer now, is a family practice doctor. Do you want ready access to prenatal tests, and do medical check-ups make you feel safe? 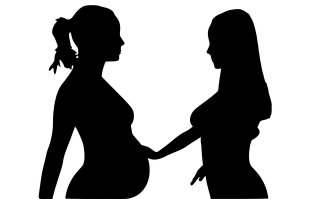 Is it important to you that your prenatal care provider also attends your labor and delivery? Is it important to you that your care provider has time to listen to your concerns and answer your questions? Do you want to see one provider your entire pregnancy, or do you feel comfortable with rotating care providers in a larger practice? Is natural birth and a minimally medical pregnancy important to you? Where would you like to deliver your baby? Do you have any specific medical problems, either related to pregnancy or preexisting, that require special care? These questions will help you come to a conclusion as to what care provider would be a good match for you. Once that's out the way, we wish you luck in choosing a specific doctor or midwife! What if your husband doesn't want to attend your baby's birth?